When home decor and furniture are refinished, they are sometimes referred to as “upcycled” items. They are not, in fact, upcycled at all. Instead, they are simply “refinished” items. Upcycling is a completely different concept, and one that takes a bit more imagination and vision than simply refinishing furniture. 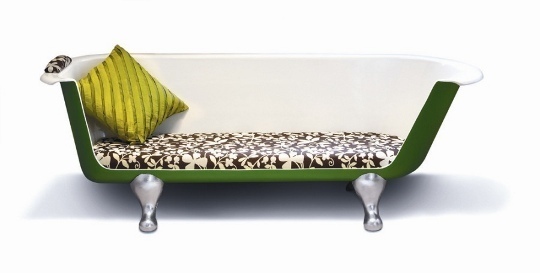 Upcycling is the practice of taking an item and creating something completely different out of it. For example, the cat bed shown in the photo above, created by Atomic Attic and available on Etsy, is a great example of upcycling. 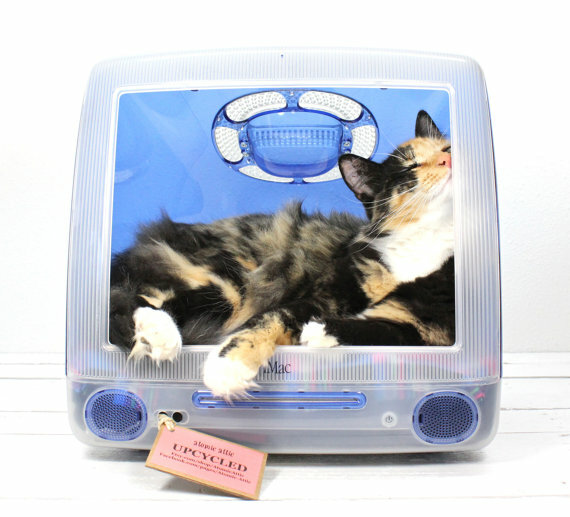 The computer is no longer a computer, but a cat bed. Definitely more creative and more involved than a refinishing project! 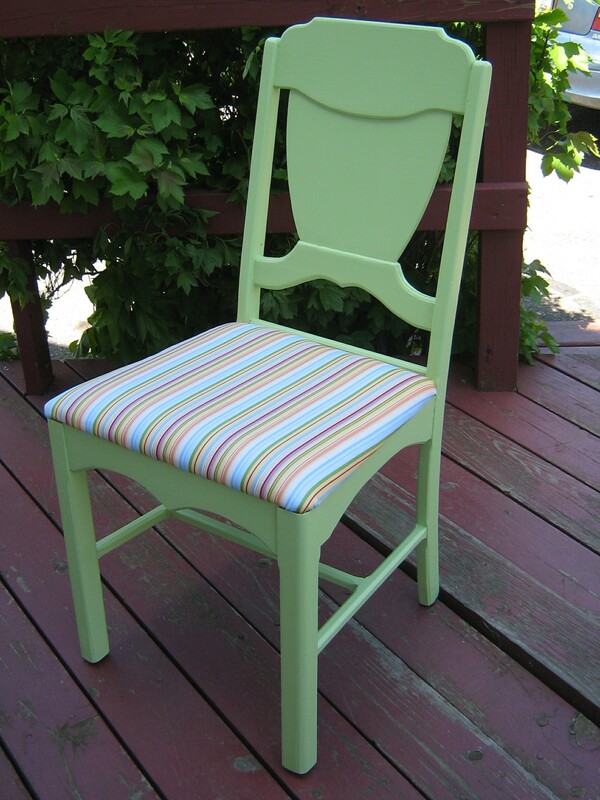 This chair I refinished is very cute (if I do say so myself), but it is simply ‘refinished’ – not ‘upcycled.’ It started life as a chair, and it is still a chair. You can see, then, that the terms ‘upcycled’ and ‘refinished’ are not synonymous. Some designers, artists and decorators do an amazing job refinishing furniture and home decor, and others specialize in upcycling those same items. While they aren’t the same thing, both can bring a custom look and whimsical feel to any home decor. Just be sure that you know what you are getting before you buy.